One longstanding goal of the medical care system has been to provide high-quality care to patients. However, a 2000 report from the Institute of Medicine (IOM) chronicled that up to 98,000 Americans die each year due to medical errors. A National Academy of Medicine paper published this week that was co-authored by Winston F. Wong, MD, medical director of Community Benefit at The Permanente Federation. Dr. Wong suggests that patient-centered, integrated health care quality measures could help address such issues by improving health literacy, language access, and cultural competence. The paper is informed by past recommendations provided to the Roundtable on Health Literacy of the National Academies of Sciences, Engineering, and Medicine from a paper commissioned by the National Committee for Quality Assurance (NCQA). The paper’s findings focus on the need for an institutional performance assessment or monitoring system that is equity-based and patient-centered. The authors outline the NCQA’s recommendations for an integrated approach – one that includes cross-cultural education in the training of all current and future health professionals – to measure health literacy, cultural competence, and language access in future assessments of organizational performance. The paper also examined existing initiatives from the federal government, national health care quality organizations, and national care leadership organizations that could be beneficial to this integrated measurement system. 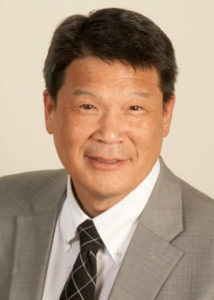 Dr. Wong and his co-authors conclude that the adoption of an integrated measure of health literacy, language access, and cultural competence would allow hospitals, health systems, and health consumer leadership organizations to better address the framework issues that currently exist in health equity. The paper goes on to pose that by integrating measurement activities across multiple areas in need of improvement, health care organizations and providers will acquire the ability to identify opportunities to improve quality of service and adjust care to meet the diverse needs of patients. Read the entire paper on the National Academy of Medicine website.